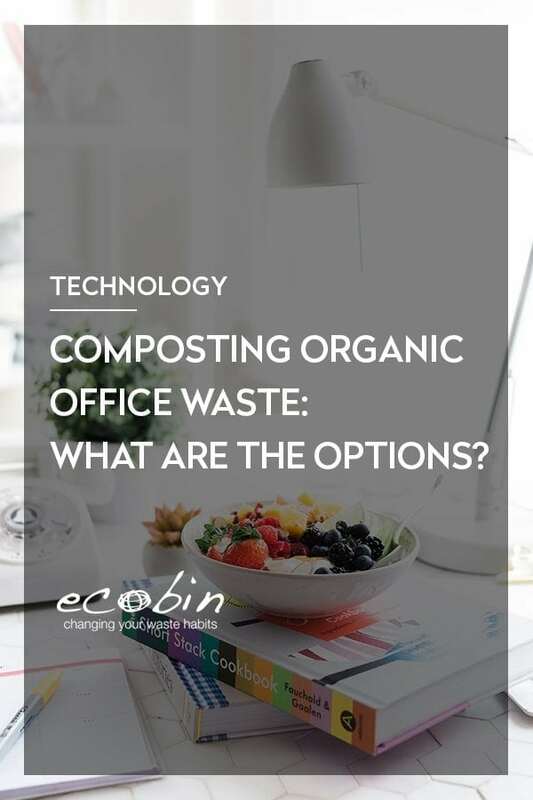 EcoBin > Food Waste and Composting > Composting Organic Office Waste in Australia: Why Do It And What Are The Options? Ten to fifteen years ago, most waste managers would have dismissed ideas like zero landfill, zero waste and the circular economy as idealistic nonsense. Today, these are all recurring themes at waste management expos. In fact, a growing number of organisations now have these goals firmly in sight. Available space for landfill is in increasingly short supply. It’s even harder to find areas whose residents will allow waste incinerators into their neighbourhoods. 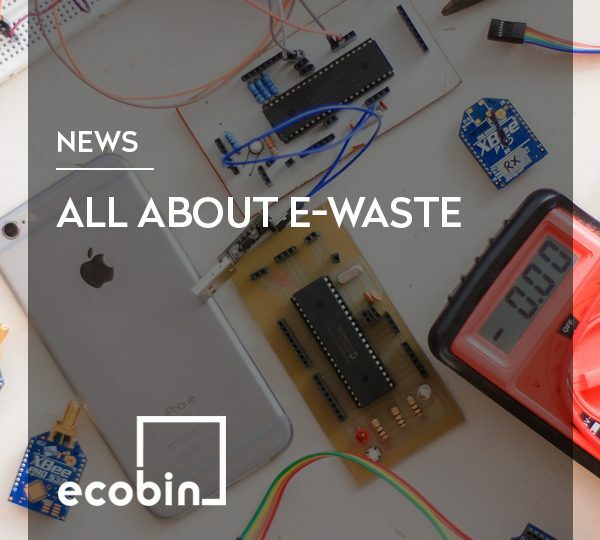 Against this backdrop then, and with carbon emissions increasingly in the spotlight, early adopters are exploring ways to recycle organic waste. Some waste management companies already offer organic recycling solutions, while a handful of local authorities are now running composting facilities that process food and other organic material besides garden waste. We believe it’s only a matter of time before full scale organic recycling, that includes food waste and ‘non-recyclable paper’, becomes as mainstream as glass and hard plastic recycling. Perhaps the most compelling long term reason to compost organic waste is its potential to help fight global warming by improving soil quality. The foremost technology known to man for removing carbon dioxide from the atmosphere is photosynthesis. By returning nutrients to the soil, rather than sealing them away in isolated landfill cells we’ll improve the earth’s ability to support more plant life and intensify photosynthesis. According to Jean-François Soussan, Director of the French National Institute for Agronomical Research,increasing the earth’s soil carbon content by as little as 4 parts in 1000 would be enough to offset all our greenhouse gas emissions. Organic waste is by far the most environmentally damaging component of landfill. Landfill sites emit mind boggling quantities of greenhouse gasses such as methane and carbon dioxide. A typical landfill site emits enough methane (a.k.a. biogas) to fuel a power station that can support thousands of homes. Burning methane to create power may be a better solution than releasing it into the atmosphere, but it’s hardly sustainable or environmentally sound. Methane converts to carbon dioxide when it burns. The prime cause of greenhouse gas emissions from landfill is the breakdown of food, paper and plant matter in the absence of oxygen. Without the organic component then, landfill would not emit greenhouse gasses. Emissions aside, the moisture content of organic waste is a major contributor to another harmful bi-product of landfill — leachate — a highly toxic liquid runoff. Landfill managers have to take great care to prevent leachate from contaminating local waterways and the water table. Just like the plastic bottles in your mixed recyclable waste stream, organic waste needs to be separated at source for recycling purposes – i.e. collected in dedicated bins. But before you go the expense of installing organic waste bins, you’ll need a plan for collection or composting yourself. Right now only a handful of local authorities offer organic waste collections for more than garden waste. Many are working towards this, but it may be years before they’re ready to do so. That said, it’s definitely worth contacting your local council to find out what options are available. Most will be keen to support any efforts to divert organic waste from landfill and some are offering financial assistance. If you’re the kind of organisation that has a direct contract with one of the major waste management companies such as Veolia or Suez Environment (SITA) it should be straightforward to set up an organic waste stream for food and non recyclable paper. Alternatively, most of Australia’s major cities and towns are home to a choice of independent organic waste processors – some offering collection services, others drop off only. Planet Ark’s website BusinessRecycling.com.au provides a searchable database of commercial service providers covering the length and breadth of Australia. Their search tool can be a little confusing though. We suggest starting with a search for food scrap recyclers to find companies who can process a broader organic waste stream. Whichever provider you chose, don’t just assume they’ll turn your organic waste into compost. Some will be using anaerobic digesters, which produce biogas under controlled conditions. While this solves the need for landfill space, it’s not doing much to reduce emissions or improve soil quality. If your workplace has a garden and space for traditional compost heap you’re in the minority. However, you may have space for a composting machine, which can turn organic waste into compost automatically, under controlled conditions. Some composting machines are even suitable for indoor use. One Australian company providing composters is Totally Environmental, who provide systems that process anywhere from 10kg to 600 kg per day. Either way though, you’ll need to think about what you’ll do with your compost. Even if you have a garden, it’s worth planning for a surplus. Once again, your local council may be able to help find an organisation or local business to take it off your hands. Some areas now operate community composting schemes, for example: City of Sydney Community Composting and City of Stonnington. Alternatively, if you’re keen to go the extra distance, you could consider having your organisation sponsor a community composting scheme of your own. There’s no shortage of land in need of the nutrients that compost can provide and many gardeners will be glad of a free supply. What’s more you may well find funding from your local government for such a scheme. You’ll just need space for a compost heap a few inexpensive tools and a means to either distribute your compost or let people know where to come to pick it up. As far as space goes, local churchyards, sports clubs and community centre grounds are obvious candidates. If you do opt for DIY composting, or decide to start a local community scheme, we strongly recommend you consider the Bokashi composting method, which we’ve described in earlier articles. Bokashi is a far more practical method than traditional composting. It allows you to process food waste on site, with collection intervals of two weeks or more, without unpleasant smells. Unlike traditional composting it will also allow you to compost any type of food waste. 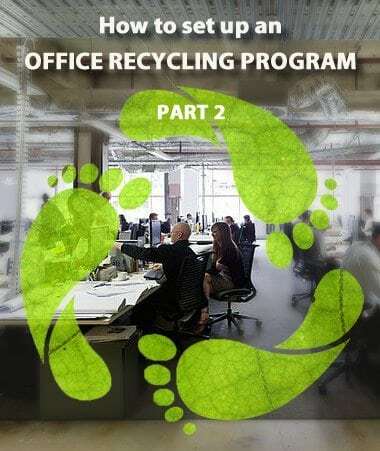 As an organisation that recycles organic waste from the office you’ll be an early adopter and ahead of the curve. 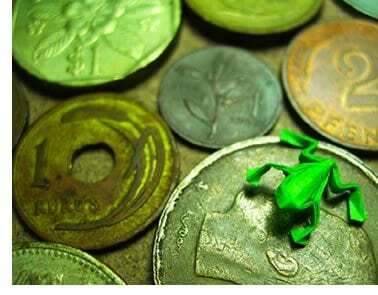 Starting out, there’s a good chance you’ll find your options limited. Collections for organic waste may be non-existent, expensive, or unreliable. Going it alone will definitely be the road less travelled. But everything will get easier if you can encourage other organisations around you to follow your lead. One aspect of recycling that’s repeatedly overlooked by those seeking to promote it is the psychology of “normative behaviour”. 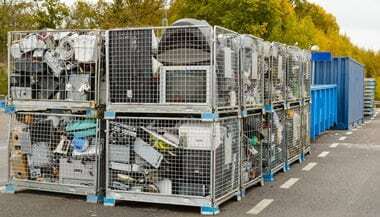 Research shows that people are most likely to adopt new recycling habits when they learn their neighbours are already doing it. As an early adopter then, you’ll have the chance to greatly magnify the positive effect of your organic recycling efforts by letting neighbouring business, clients and suppliers know about it. Leading by example you may be able to persuade neighbouring organisations in your office block or on your industrial estate or street to join you. Doing so, may well introduce economies of scale, can strengthen your connections with your local community and government, as well as providing valuable PR exposure — an all in the name of a good cause.